Here I have listed just a few of many recipes that my E-mail subscribers receive for free every week! You can also head over to "The Daily Chia" under my blog section for recipes. To be added to the list and get them sent directly to your E-mail, Click here! 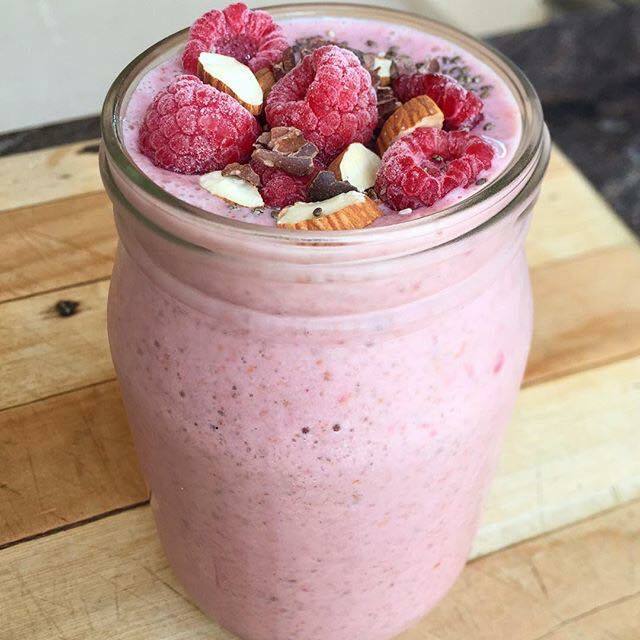 Nothing like a little Raspberry Protein Shake to start your day or even better post workout 💪🏼This turned out pretty amazing and it was quick and easy to make. All ingredients are plant based, dairy free, and gluten free. 🤓This recipe for me made about 2 servings.